Shaida Walking by British artist Julian Opie (b. 1958) is a double-sided LED installation incorporating an element of animation. 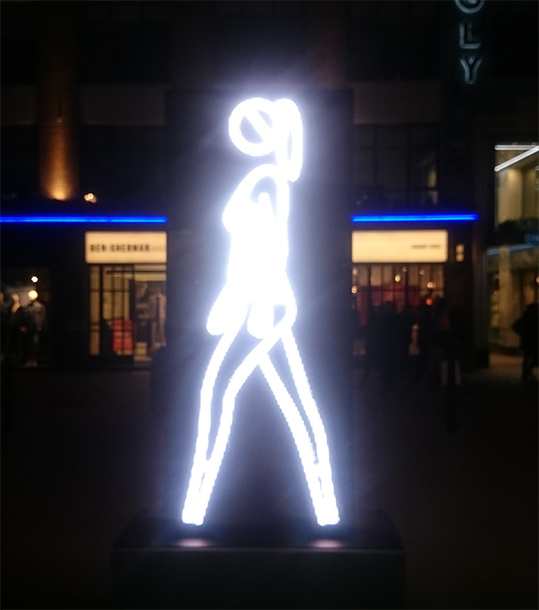 The permanent public artwork is ideally placed on Broadwick Street opposite Carnaby Street, the vibrant pedestrianised shopping zone in the heart of London. Shaida Walking by Julian Opie from ArtworldNow on Vimeo.